Obituary for Alice M. Snyder | Kaniewski Funeral Homes, Inc.
Alice Marie (Barcus) Snyder of Roseland passed away, December 4 2018 with her son Mark by her side. She was born to the late Ormond and Violet Barcus, July 20, 1927, in Niles Michigan. Alice graduated from Central High School in 1945 and attended Wittenberg University. She was married to Russell Snyder in 1950. Alice is survived by her husband Russell Snyder, three children: Mark (Pat) Snyder, Susan (Brian) Hina, and Daniel (Veronica) Snyder; six grandchildren: Amanda (Tim) Klinker, Matthew Snyder, Kathryn (Matt) Bowman, Nathan Snyder, Nicholas Snyder and Danielle Snyder; two great grandchildren: Autumn Klinker and Lucas Klinker. She is also survived by sister June Rhettic and sister-in-law Odette Fobe. Alice was preceded in death by her parents, brother Ormond L. Barcus, Jr., sister Naomi Kent, son David Snyder and daughter-in-law Dorothy Paul Snyder. Alice wanted to be remembered as a homemaker. She loved to cook, bake, sew, quilt and take pictures. She created a wonderful loving home for her children and husband. Alice was also a Pastor’s wife serving 3 different parishes and several interim congregations. She participated in the women’s groups often serving as an officer. She taught Sunday School and her favorite was being a youth advisor. Upon retirement, she moved back to Roseland, Indiana and her hometown congregation. She started a quilting club at her church that made quilts, collected toiletries and school supplies to send to the less fortunate in Africa. Alice touched many people’s lives with her faith, sense of humor, nurturing and her love of life. Visitation will be held on December 10, 2018 from 4 to 8 at the Kaniewski Funeral Home on Bendix Dr. The funeral service will be on December 11, 2018 at 11:00am at Holy Trinity Lutheran Church in Niles Michigan. A visitation will also be held at the church at 10:00am. The burial service will take place at the Highland Cemetery Mausoleum at 1:00pm. 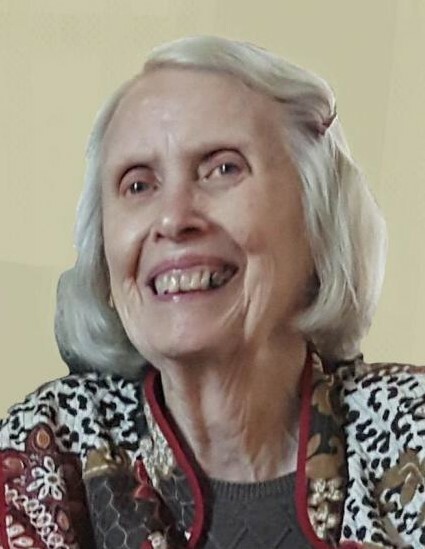 Charitable donations can be made in her memory to Holy Trinity Lutheran Church, Niles Michigan, Muscular Dystrophy and Center for Hospice Care, Roseland, IN.